my bike currently has a 20t on it but I am going to try to move up to a smaller cog. I see that there are some available for ~$10 and others that are $30. Why the disparity? The difference is probably the construction. Cheap cogs are usually stamped steel. They are very narrow and can cause problems on the freehub body due to so much force being focused on a small area. The $30 cogs are probably machined stainless steel. They are thicker and spread the forces out across more of the splines on the freehub, reducing the potential for damage. Plus they look waaaaay cooler. I think the Surly cogs are nice. Those are around $20. The Gusset cogs I used at first were cheap at like $5 but the bases were narrow and were digging into my hub body. That Niner cog is aluminum. It is a lot lighter but will wear out faster than a stainless steel cog. I second the recommendation of Surly cogs (although my usual bike parts source lists them at $30 not $20). 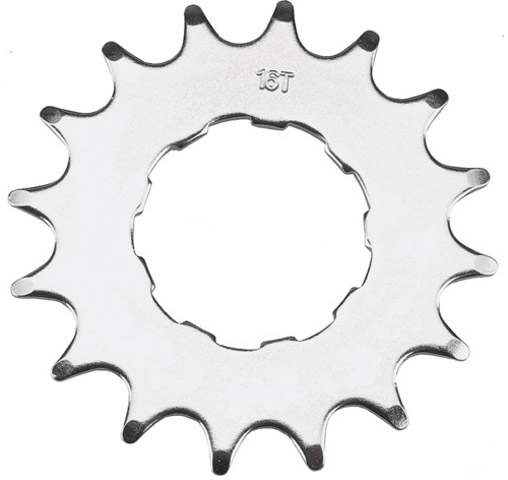 If you aren't sure what gearing you want, you could try a cheapo cog and then replace it with a good one when you make up your mind. When you know the ratio(s) you like, replace with a King. The cheap stamped cogs work fine if you have a steel freehub body. If you are using the OEM Crave SL wheels, you should have a steel freehub body. If you have an aluminum freehub, then you need a cog with a thicker base. Beyond this, you are paying to save weight and of course bling. It may or may not be worth the cost for you. I own a Surly and recently a Niner cogalicious as shown in the post above. They are both nice cogs. 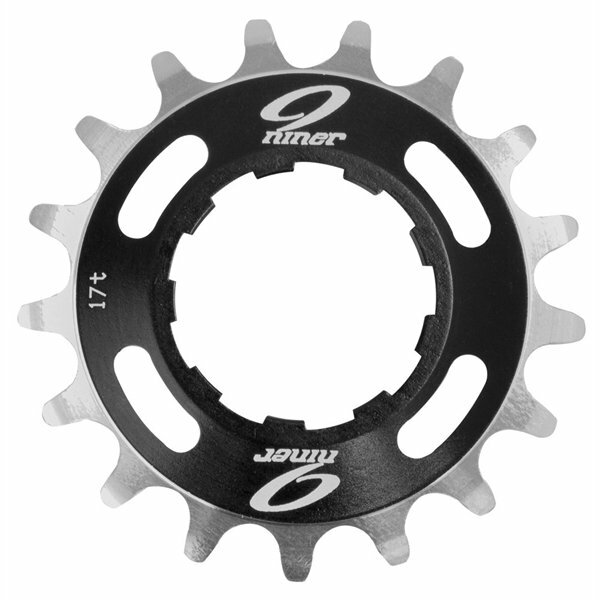 I looked at Chris King cogs when shopping for my Niner and honestly I am not sure what makes them worth 50 bucks. Are they that proud of their name lol? I must say they sure look pretty though. I've been very happy with the Surly. Keep in mind using different brands can possibly change the cog offset requiring different spacers/positions. Using the same brand, just different size cog, you are just easily changing the chain tension in the dropouts. Cheap steel stamped cog for this weekend's race. Depending on how it does on climbing on my local trails, I'll either get a nice 16T or 18T. Cut the chain a little longer to just get it into the right length and nailed it the first time around (by accident). Very painless upgrade. Hmmm...15 Crave vs 15 Crave Comp? Did I get a FAKE Crave Pro? Bought '14 crave and have ? ?